There are many risks associated with using an app development agency that doesn’t specialise in developing medical apps but the most common one is app store rejection. Read on. Over the past few years we’ve been approached by a few companies that have embarked on an app development project with a different agency only to find out that at the end of the development process they’ve have been unable to get their newly developed medical app published onto the app store. They’ve approached us for help, because more often than not the main reason why their app has been rejected is because it does not conform to the regulatory guidelines that have been set for publishing medical apps. If you’re developing an app that is going to be classed as a medical device, then Apple will need to see evidence that you’ve compiled the appropriate paperwork required for launching an app of that nature onto the market. This will often include a genuine copy of the CE Mark certificate that only gets issued to the manufacturer of the device once all the required paperwork has been submitted to the appropriate competent authority within your country, like the MHRA in the UK. Apple released their expanded section focused on safety requirements for health and medical apps back in 2016, so we get a little surprised when we get requests for help from companies who have had their app rejected due to regulatory issues. Under the “Physical Harm” section, the guidelines provide several examples of user risk issues that may lead to rejection of an app. Drug dosage calculators must come from the drug manufacturer, a hospital, university, health insurance company, pharmacy or other approved entity, or receive approval by the FDA or one of its international counterparts. Given the potential harm to patients, we need to be sure that the app will be supported and updated over the long term. If you’re looking to develop a medical device app then it’s vital that you do the required regulatory research and due-diligence on the app development companies that are being considered for your project. Ask them to show you apps that they have developed which carry the CE Mark (all apps that are classed as medical devices need to have a page within the app itself where the CE Mark is displayed). You’ll need to consider the classification of your device as the guidelines differ for the various regulatory classes as well as the software safety class, while making sure your organisation can meet all of those guidelines. At the end of the day the guidelines are there to protect patients and healthcare professionals that will be using your app and if you or your chosen app developer doesn’t have the required expertise to not only code these types of apps but to also produce the appropriate compliance paperwork for submission, then you will end up facing the same scenario above, which could prove very costly. If your app meets the definition of a medial device then you could also face a significant fine for a regulatory violation, from the competent authority responsible for the registration of medical devices. Developing mobile applications that function as medical devices is complex. Choosing the right partner is more than just about assessing their technical capability. Medical device app developers also need to understand the regulatory and security requirements, so make sure you do the right research before choosing your app development partner. To learn more about our expertise and experience in developing medical device apps, check out our portfolio and our medical device app development section on our website. Alternatively get in touch. 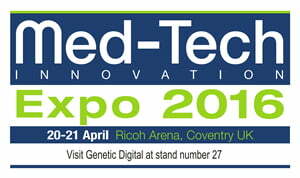 https://www.geneticapps.co.uk/wp-content/uploads/2015/06/text-messaging.jpg 275 850 Genetic Digital https://www.geneticapps.co.uk/wp-content/uploads/2016/04/ga-logo-bw.png Genetic Digital2015-06-25 10:03:092015-06-22 17:04:16Can Text Messaging Improve Patient Engagement Outcomes? The stampede towards campaigns on social media and mobile apps designed to increase health awareness, continues. The same media is also being used to promote patient adherence to medication regimes. Some of the most inventive ways being employed to get patients involved have been with the use of gaming apps. Inelegantly labelled SMAG’s which stands for Social, mobile and games, the technology is still very much a new innovation and the question is – are they just a gimmick or will they really do anything to help the adherence to medication in those that they are aimed at? There is no doubt that medication adherence is now a multi billion dollar per year problem, and one of those working on using gaming to address the problem is Mango who have observed that the industry has tended to focus on two main areas. The first is tracking the consumption of medicine by patients. The second area of focus has been analysis of patient data to better identify the populations at risk in various scenarios. However, it is now thought that the root cause of patient non adherence is likely to be due more to behavioural issues. With the app that Mango produce the patient can enter any supplements or medication that they need to take as well as the timing and the dosage of that medication. The app, that is typical of the many adherence apps on the market, will advise patients of the time that they need to take their medication. It will also alert the user to any potential reaction between medications that might prove dangerous. But it is the gaming side that the makers are hoping will give their app the edge. The game involves a currency that is unique to the game and the user will ‘earn’ the virtual money by being rewarded for taking medication on time, for instance. There is a levelling up scheme that means that the users of the gaming system of adherence can progress to actual rewards from Mango’s partners. The type of rewards on offer will include items such as donations to charities and rewards that can be redeemed at retailers. Another interesting feature of the gaming app is that the user can see how their adherence to medication compares with others suffering from the same condition. The Mango app is aimed at middle aged people diagnosed with certain conditions although in practice the makers have found that they have had users in their twenties as well as in their seventies. Maybe it never is too late to teach an old or a young dog new tricks! Without our mobile phones we would be lost, appointments would be missed, and our lives would fall apart. We rely on smartphones to get us up and get us through the day but are we ready to rely on them for medical advice? An innovative new app is due to launch later this year, as BlueStar’s prescription only app for smartphone becomes a trailblazer in its field. Could this potentially be the start of something momentous, and poses the question – just how far away are we from being prescribed apps with our medication? Do we even want to go down that route? What are the pitfalls and the benefits? 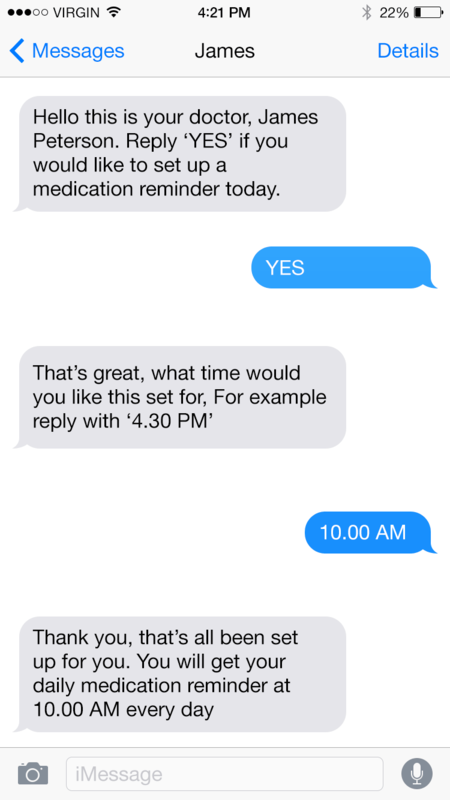 Is introducing this remoteness and prescription by app to be welcomed or feared? Will GP’s be comfortable prescribing an app with medication and how will a prescription only app be paid for? Furthermore, what restrictions will be placed on marketers with regards to promoting the app, will it fall under the ABPI code of practice as do prescription only medicines (POMs)? So, are we likely to see the buzzword POA (prescription only apps) being added to the pharma jargon dictionary? The Blue Star app can be downloaded to tablet, computer or smartphone in the normal way but will only become interactive with a special prescription code issued by a pharmacy. This is the first healthcare app that needs a doctor’s prescription to work and it is being trialled in a small area of the US where it is already causing quite a stir, as several large US corporations have announced plans to incorporate the app into the health cover that they offer their employees. The precise cost of the app is not yet known but speculation is that it is very likely to be some way over $100 per month. This medical app has been put through its paces by the FDA in the USA and was approved for use in 2010. The app has been designed as an aid for people with type 2 diabetes. It prompts them to check blood sugar levels and gives them useful information about controlling fluctuations in glucose levels along with other advice to help them manage their condition. The prescription only app will offer encouragement and praise for regular blood sugar checking and might also issue helpful reminders to take medication with food, for instance. Following in the wake of Nike’s FuelBand, an app that is designed to record health related performance, Blue Star’s app does not monitor a patient directly but rather provides a platform for them to use to record the information needed to best manage their condition. The question is how will doctors receive this innovation? Not having immediate control of their patient may not sit well, but BlueStar plan to calm any qualms by sending patients statistics to doctors who can then use the data to make adjustments to treatment. Another potential stumbling block may be the perceived intrusion that might be resented by patients if no immediate improvement or benefit is seen. Only time will tell if the prescription only app is going to become mainstream. Genetic Digital has completed development of the University of Southampton Liver Traffic Light Calculator iPhone App. The live ‘traffic light’ calculator is a test for liver disease suitable for community use that could enhance assessment of liver risk and allow rational referral of more severe disease to specialist care. The algorithm used within this calculator only works with assays done by University of Southampton University Hospital Trust. It must NOT be used with individual test results from other hospitals. Liver disease develops silently and presents late with end-stage disease; as a result, one-third of new admissions die within the first few months, and death rates have doubled in the last 15 years.